The amount of VRAM is very important for high performance in contemporary video games, as for normal operation, they require 256 megabytes of video memory. If it is not enough, video games either will not run or be very slow, so playing them would be impossible. There are several ways to increase the performance of the video system of the computer. In some cases, you can increase the amount of VRAM of your computer. It is worth noting that to increase the amount of video memory is possible only by integrated graphics cards. 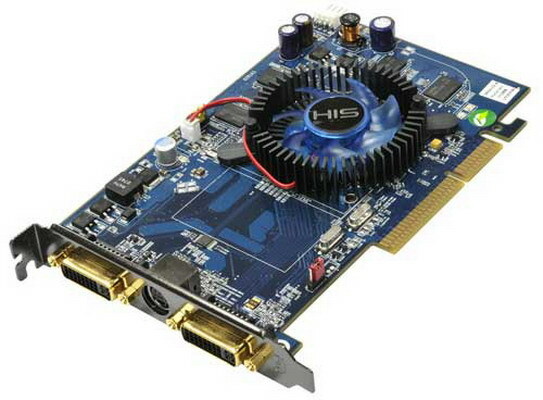 These video cards can draw additional memory from the computer's memory. This can be done using the BIOS menu. Turn on the computer, and press Del. Instead of the usual computer startup will open the BIOS menu. Locate the setting for Video RAM. Select it and press Enter. After that, select the desired amount of memory. Take into account that the memory is added with the RAM. If you have little RAM, in the end overall performance video system will not grow. Keep in mind the fact that integrated graphics cards are themselves quite weak and to wait for special productivity is not worth it. Although if you have a powerful processor, the percent increased performance of the video system grows. The amount of memory discrete graphics is strictly fixed. To discrete graphics card you cannot add memory. But it is possible to increase the speed of the video memory, thereby increasing performance and video. Download Internet utility RivaTuner. Install it, then restart your computer. Run the program. In its main menu will be written in the card model. Nearby there are two arrows. Click on the one that points to the right. Then select the icon named "low level system settings". Note the section called "memory Frequency". Next is the slider. Move it slightly to the right, about 30-50Hz. Then from the bottom of the window, click "Apply". If playing the game, you don't notice any crashes, and the system does not hang, then graphics card with overclocking settings is working fine. If you wish, you can increase the speed a little more. But if the system starts to hang, the speed of the memory to be reduced. In this way you yourself can choose the optimum overclocking parameters.